It’s citrus season and more than the usual suspects are showing up in the market. I try to eat local as much as I can but without a large garden and an enormous cold cellar and jar storage area, by this time of year things are getting a bit thin. I don’t feel so bad getting citrus from far away in the US, at least it really is in season, not like those sorry excuses for tomatoes I see at the store. 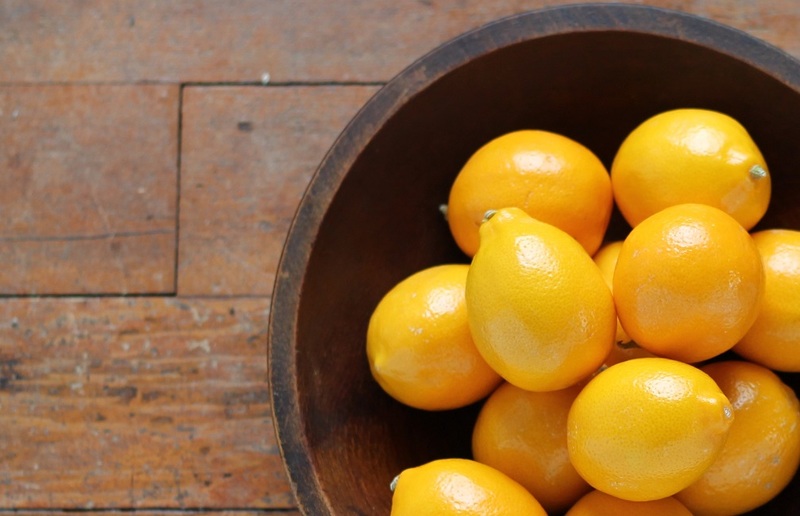 Meyer Lemons are small almost sweet beauties with thin skins and lots of seeds. I’ve already made a simple syrup – (2 parts water, 2 parts sugar, .75 parts Meyer lemon juice) for the Accountant’s Lemon Drop Martini so I wanted to try something new. Preserving lemons with salt is a simple technique that is common to cultures from Asia to Africa. Why not give them a try where you are? *Note – use Kosher salt or sea salt, not table salt. Whatever vessel you choose, pack the lemons in tightly, you want them to release their juice for the brine. I used quart canning jars. I needed to run out and get a few more lemons to fully pack these jars. Put lids on the jars and let them sit on the counter or cool dark place. After a day, top of jars with additional lemon juice to cover the lemons. 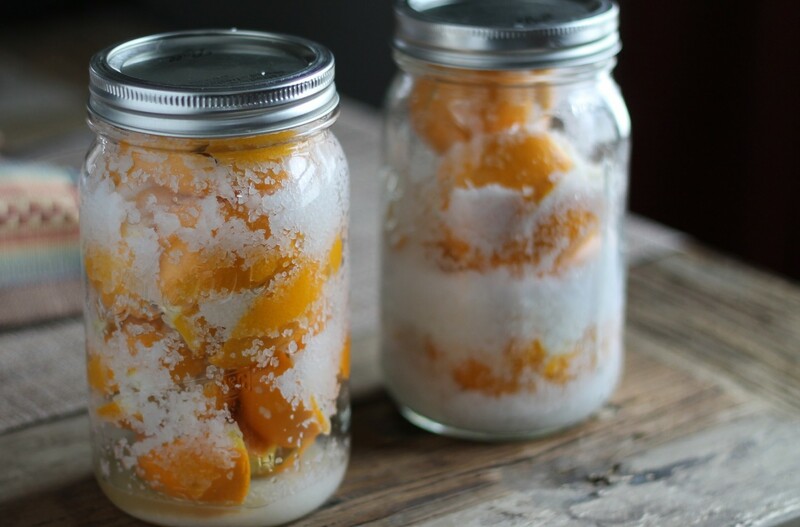 Let them ferment for a few days up to 3 weeks, giving them a turn to redistribute the salt. Rinse them off before using. 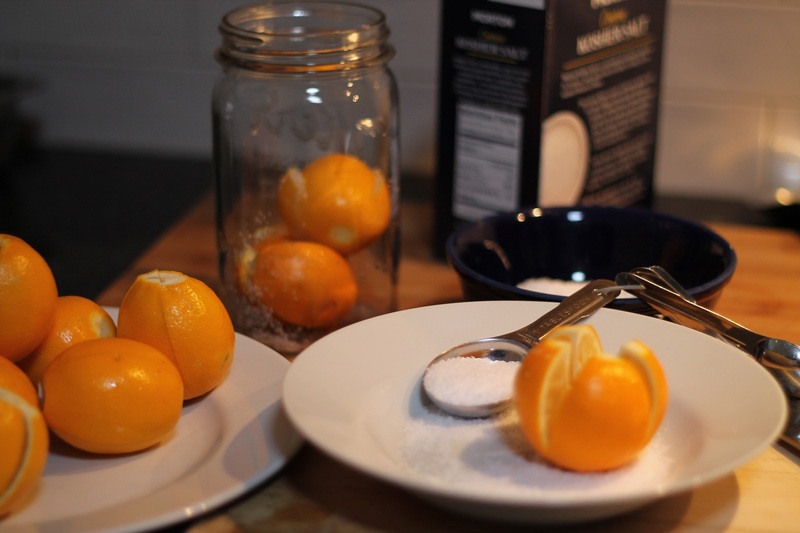 Minced or sliced peel can be added to salad, soups, stews, chicken dishes, tangines, hummus, guacamole – anywhere you want a bright citrus / salty note these would work. Until next time eat well and keep digging! Pickled Cherry Peppers - My favorite pickle! We sometimes have preserved lemons with a North African tagine, with which they go very well. Meyer Lemons don’t seem to be common in the UK. I see lots of people in the US writing about them, but they barely get a mention here. I wonder if we call them something different…? I’m not sure if they are called something different Mark. I see that Tesco has carried them from time to time. They are sweet and thin skinned a cross between a lemon and a mandarin orange. Interesting! I have never heard of preserving lemons this way! I look forward to using them in a few weeks, I’ll be sure to report how it goes.